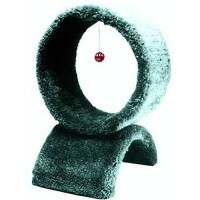 The Hollow Log is a great piece of cat furniture if your cat likes to get away from the world. It is.. 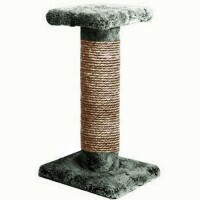 Basic Pedestal makes for a great window seat and scratcher. 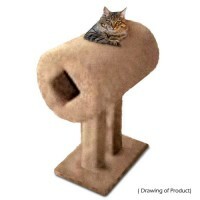 Comes with optional carpeted leg or sisa.. 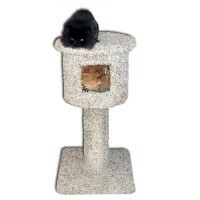 The cat Chalet is a great window seat that your cat can either go inside or on top or can be used by..
Great for Cats or Ferrets. 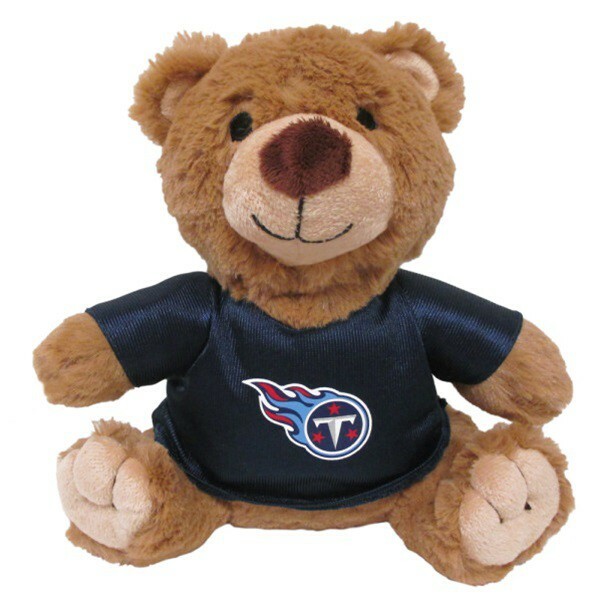 The Ring of Slumber pet play stand is 13" in diameter, 12" wide..
You and your pet will love to play and cuddle with this adorable Tennessee Titans Teddy Bear toy and is officially licensed by the NFL. 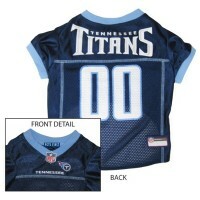 Teddy comes dressed in a faux jersey in team colors with a screen printed Tennessee Titans team logo on the front and a "00 " player number on the back. Teddy is made with a very soft plush material and features an built-in squeaker and soft sewn eyes for your pet's or child's safety. He is approximately 9"x9"x5". This teddy bear makes a great toy for your pet or child, even your NFL fan girlfriend/boyfriend would love it. 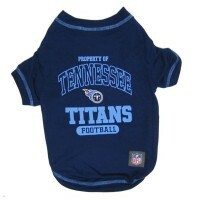 Your dog can support your team in this officially licensed NFL$ dog jersey. This authentic looking 1.. 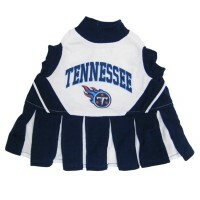 Your pet will make an adorable cheerleader in this Tennessee Titans Cheerleader Pet Dress is made wi.. 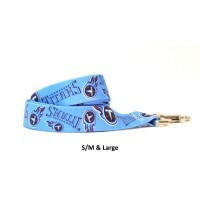 Your pet will look great and show their team spirit in this "Property Of" Tennessee Titans..
Keep your pet under control and support your team with this stylish Tennessee Titans Chain & lea..
Keep your pet under control with this Tennessee Titans nylon pet leash by Yellow Dog Design! This le.. 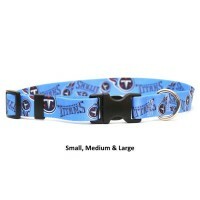 Your pet will look sharp with this adjustable Georgia Bulldogs petcollar by Yellow Dog Design! 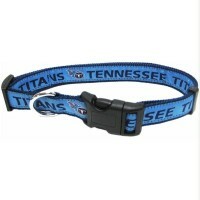 This ..
Show your team spirit with this Tennessee Titans dog collar by Pets FIrst! 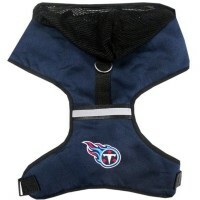 Collar is made with ribbo..
Show your team spirt with this Tennessee Titans pet collar! Designed with full-color, double-sided t..